Fiber – Useful or Harmful? Fiber has been encouraged for many years in the hopes that it would improve gastrointestinal motility, and many products have been sold advocating such use. Fiber has been recommended by all sorts of health care providers, including doctors, nurses, nutritionists and therapists. Is fiber truly helpful, though? Recent independent studies indicate fiber may be contributing to more symptoms and problems than it’s helping. As a bulking agent, fiber is used to literally, fill up the space inside the large intestine. The large intestine cannot absorb fiber, nor break it down any further as it moves through the gut. Fiber that enters the colon will absorb excess water, swelling to its maximal capability, filling every space it can occupy. Over days and even weeks of regular fiber use, more fiber enters the large intestine and swells even more, gently pushing swollen fibers forward through the intestines. This action is very slow and can take 2-3 weeks in an average adult. The slow motility means that taking a fiber supplement today will not contribute to today’s bowel movement – not even tomorrow’s. It is the combination of these 2 factors that make us now question the benefits of fiber supplementation: swelling of the fiber and slow motility through the system. With fiber supplementation, many patients report worsening constipation, bloating, abdominal pain, weight gain, gas, cramping, shortness of breath, obstruction and even diarrhea within days of beginning a supplement. While the theoretical goal of fiber supplementation is to slowly clean out the large intestine, the mechanism by which this system actually occurs is problematic and poses some serious health consequences. We’ve known for a long time now, that some people who consume a high fiber diet often develop diverticulosis – or enlarged pockets along the large intestine. What we have not known or understood is why/how the enlargement occurs, but I would venture to say with this new research data available, that the most likely causes of diverticulosis would be chronic constipation and/or possible high fiber supplement use. Allowing stool to move too slowly through the gut contributes to build-up of wastes, blocking adequate absorption, filling the pockets and getting “stuck” in them. Over time, these static wastes are pushed further and further into those pockets, forcing them to stretch out of shape and become enlarged, even though some stool continues to pass right on by that stuck stool. No symptoms are typically felt or noticed. This problem can create serious illness and severe complication in the form of diverticulitis and obstruction – both of which can be life-threatening. Moving on to other nutritional aspects of fiber takes us into the nutritional info of foods. Counting carbohydrates is a common nutrition plan for lowering glucose and reversing many chronic conditions. Many low carb experts often instruct people to subtract fiber grams from total grams of carbohydrates, because the fiber is not absorbed or converted into glucose. For example, 1 cup of almonds contains approximately 20 grams of carbohydrates and 11 of them make up the fiber content; some low carbers will say that eating 1 cup of almonds actually only contains 9 grams of net carbs, and thus you only have to count the 9 grams in your calculation of carbs consumed. However, many people with diabetes find that they will have a rise in glucose above and beyond the 9 grams of carbs in that cup of almonds. Why? Some low carb experts suggest that some of the insoluble fiber can impact glucose in many people; in addition, normal gut flora include a variety of healthy bacteria that ARE able to break down some of that insoluble fiber, possibly resulting in glucose release into the GI tract/bloodstream. In addition, some of these insoluble fibers are used as artificial sweeteners, like mannitol, xylitol, & erythritol; manufacturers are catching on to the “net carb” craze and are beginning to produce and label many processed foods using these sugar alcohols. However, there are a couple of problems here; one problem is the elevated glucose with use of these products. The other problem is because these sugar alcohols are insoluble and not easily digestible, they often trigger abdominal cramping and diarrhea in patients, which alters normal gut flora, resulting in even more damage to the gastrointestinal tract and overall health. Gut flora? Hey, what is that? Well, our intestines are lined with millions of microscopic bacteria that aid in intestinal lining protection, digestion, absorption, and immunity. In fact, some experts now believe that more than 90% of our immune system lies within our intestines. Nearly all of our bodies’ healthy bacteria are located within the intestines, and the job of these bacteria is to break down fiber that your body wasn’t able to break down. During this bacterial digestion of fiber, short-chain fatty acids, like butyrate, are formed and are used to help maintain a feeling of fullness for a long time and maintain the health of the lining of the intestines. Once the normal balance of healthy bacteria is altered, digestion and absorption are impaired, the lining of the gut is damaged, and inflammation develops. Inflammation within the gut can trigger a wide variety of symptoms and health conditions, including diarrhea, irritable bowel syndrome, leaky gut syndrome, obesity, diabetes, Crohn’s and more. If altered gut flora is contributing to poor digestion, absorption, and diarrhea, how will the body obtain nutrients? How will the large intestine properly push wastes on through the system? If the short-chain fatty acids are no longer produced by the healthy gut bacteria, we get hungry again and again – we eat more often, and we’re more likely to eat nutrient-poor fake foods. If the specific short-chain fatty acid, butyrate, is not available for increasing energy production and for cell replication, damage to the lining of the intestines may be serious, resulting in a variety of illnesses including cancer. Combine all these factors and significant intestinal conditions develop or worsen and health is impaired. So what does all of this information mean? 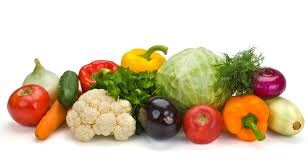 In summary, it means that fiber may be useful for digestion, but not as added supplements, tablets, or pills; rather, the body much prefers natural forms of fiber – low carb vegetables and pre-biotic vegetables – but because of likely glycemic impact, fiber grams should always be counted on a low carb nutrition plan. The only way to know for sure if these insoluble fibers impact your glucose is test. Use a glucometer to check blood sugar prior to eating insoluble fiber. At 1 hour increments, re-check glucose levels and watch the trend over 4-6 hours. Probiotics can be purchased over the counter and come in a variety of formulations; some come in single strains, while others come with a combination of healthy bacteria. Probiotic supplements contain active, live healthy bacteria, that are released during digestion to colonize the intestines. There are no specific recommendations or guidelines to take probiotics, although many people claim daily is optimal, while others say weekly is sufficient. Another digestive aid is called a pre-biotic, certain vegetables or foods that actually serve as nutrition sources for the healthy bacteria within the gut. Pre-biotics include asparagus, sauerkraut, kefir, kumbucha, fresh garlic, leeks, and onions. As mentioned previously, short chain fatty acids (SCFAs) are essential to our digestive system. While there are several SCFAs, butyrate is probably the most common and one of the most useful; butyrate is helpful at maintaining intestinal health and one of the best sources of butyrate is real butter. What causes altered gut flora? Well, let’s start by taking a look at some causes. Smokers often have higher risks of GI conditions, including ulcers. Diabetes and the medicines used to treat it often cause terrible gut flora, especially metformin. Approximately 85% of people with reflux have been found to also have chronic constipation, and the medicines used to treat reflux significantly alter the pH and thus impair the ability of healthy bacteria to enjoy an optimal environment. Antibiotics are designed to kill off fast-growing bacteria, in order to treat infections, but the antibiotics have no idea that they are supposed to only kill the bacteria causing your sinus or skin infection; antibiotics are most commonly recognized for causing abdominal cramping and diarrhea – symptoms of gut flora imbalance. Simple little GI viruses or mild cases of food poisoning nearly completely empty the gut of healthy bacteria. As you can see, almost anything can alter the health of our intestinal tract. causing a wide variety of GI symptoms, that alter health. 4.) Probiotics can be helpful at restoring normal gut flora, and a couple of weeks later, adding in prebiotics is often helpful at maintaining GI health. One special note: recently, I’ve seen marketing of soil-based probiotics. I’d caution you to avoid using these probiotics, as humans weren’t meant to consume soil. Animals consume soil in small amounts when grazing and can use these types of bacteria in the gut, especially ruminants – like cows. But these probiotics can actually be harmful to humans. Previous postWhat is Vitamin D & Why Do I Need It? That was a lot of information. I know that I feel much better after stop taking Metformin. I see my doctor in Tuesday. I pray it goes well. Which probiotic is recommended ?